Would You Have An F-Type Coupe Over A Roadster? The Jaguar F-Type looks almost exactly like the C-X16 Concept that preceded it. Save for the roof it lost. Welcome to Morning Would, where we present you with some of the most desirable, controversial cars ever built and ask what you would do to drive one. Ian Callum has penned some of the most beautiful cars of the contemporary era. Jaguar's entire current lineup can be attributed to him, as can the Aston Martin DB7 and DB9. (Though Henrik Fisker might try and lay claim to the last one.) And while we can't be sure of which he drew first, we all saw the C-X16 Coupe Concept before we saw the Roadster F-Type. And while the F-Type is far from homely, the C-X16 is a true bombshell. The convertible/coupe debate is everlasting. While the coupe version almost always looks better, the convertible is the one you regret not having on sunny days. At least we can all be thankful Jag didn't try and do both, because then we might've gotten something like the rear-end of the Ferrari California. So which will it be? The more visually stunning coupe, or the open-air roadster? Let us know in the comments. 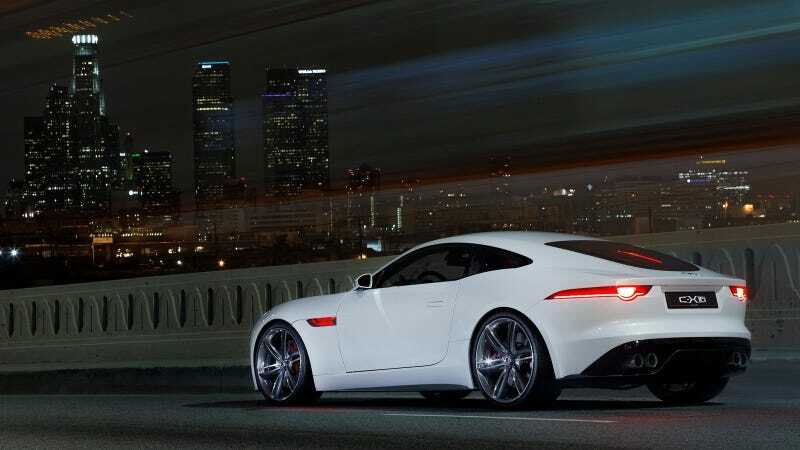 And who knows, if enough of you want it, we may just live to see a C-X16-style F-Type coupe on our roads.